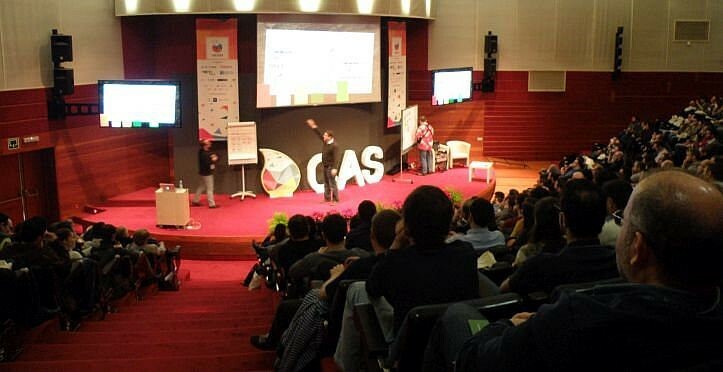 Thursday 1st and Friday 2nd of December, It was celebrated the 2016 edition of the CAS (Agile Spain Conference) at Vitoria-Gasteiz. It’s an annual conference of the Agile Spain association, an association compromised with agile methodologies and the agile software development. Initially, the conference was focused only on topics related to software development but it has been expanding its ambit, incorporating agile methodologies application experiences in other environments and realities. From inLab we’ve sent Oriol Serch to attend and then share the experience with all of us. CAS2016 started with a plenary session (Keynote) by Chris Matts titled “Challenging Agile” who gave us an idea of the real state of the agile blowup in the different areas of organizations. Chris Matts wrote on his blog a description of the talk he offered. After the initial talk began the issue for all attendees was that we had a few minutes to have a coffee and choose which talks we would go next. From this moment on, the 6 rooms of the Europa Palace began to be used for simultaneous talks. This meant that when you decided to go to a talk you knew that you was missing 4 or 5 alternatives. 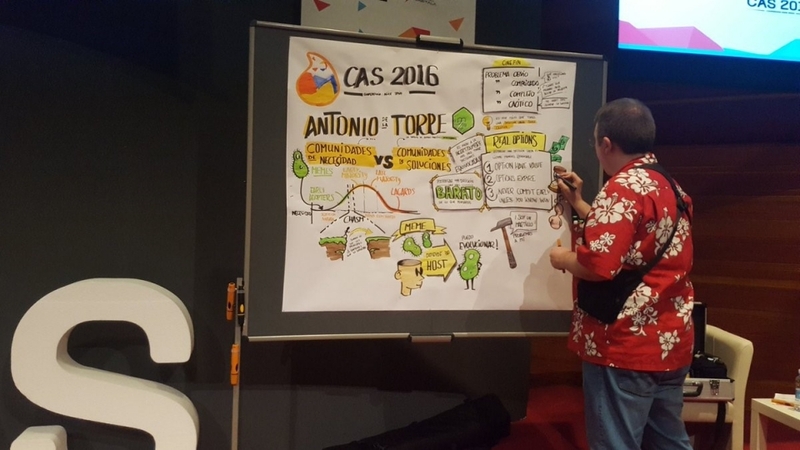 Once the conference is over, this problem has been resolved because they have been publishing the video of all the talks at the YouTube channel of Agile Spain and the talks of the main auditorium to the channel of Autentia, one of the sponsors of the CAS2016. One of the main advantages of being able to attend these congresses is that, besides being able to attend the live talks, you can interact with the speakers and other assistants. And in congresses such as the CAS, you can be part of some sessions, the workshops, where not only contents or proposals are presented but activities where you can participate and see in first person the effect and the dynamics of which they are speaking. Thanks to the workshops we have been able to see the advantages and the different ways in which gaming can be applied to group dynamics, or for example the usefulness of analyzing fictional situations to find solutions to real problems but without analyzing people, but the behaviors. Or even how project definition methodologies could be combined from a development point of view with dynamics oriented to user experience and where all the roles, from developers, business people, customers and end-users, are involved and that the created design can be tested with users before its construction. After two days of congress, many talks and discussions on various alternatives to apply or improve agile methodologies, it's ended with another Keynote. In this case presented by Bob Marshall and entitled "So, I have all the answers. But are you ready to hear them?" that as the ultimate goal, he tried to make the audience aware that applying a change in the methodology of an entire company needs time. But not only time in the transformation but, at first, in gaining the trust of the company both at directive and work teams level, in order to be able to start a smooth transition. In additrion to all the talks I have been able to attend and that have helped me to think over on how we come up with some things we do or could do. Surely the most surprising was the graphic facilitation made by Javier Alonso (@oyabun) while speakers were making their presentation to the main audience.